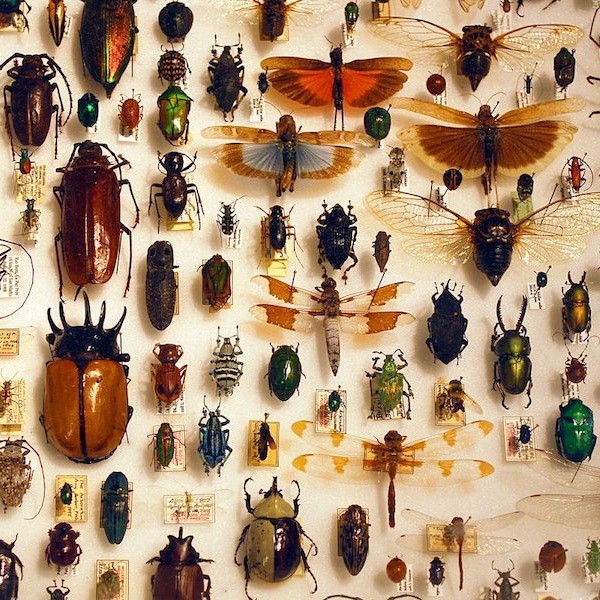 Entomologists estimate that there are millions of insect species that remain “unknown” to the scientific world. While official categorization or recognition doesn’t matter much in the way of determining existence or ratifying inherent value, the fact that so little is known about insects highlights the seriousness of potential insect decline, especially given that out of the million or so known species on Earth, insects make up approximately 80 percent of that number. The “insect apocalypse” that is currently unfolding is simultaneously slow and rapid, depending on the time scale one abides. While this decline is recorded at about one to two percent per year, it adds up to a total loss of ten percent biomass over a decade. Should this decline continue or hasten, an ecological collapse will surely ensue. While some argue that not enough is known about this ongoing phenomenon, we do know that insects are declining almost twice as fast as vertebrates, and to not act until we are one hundred percent sure, is both reckless and ignorant. In this week’s episode, Dr. David Wagner reminds us of the fascinating world of insects, the tremendous roles they play, and the possible peril should the insect apocalypse come to fruition. Dr. David Wagner is an entomologist and professor of ecology and evolutionary biology. His research interests are in the biology and evolution of moths and insect conservation. He has published several books on caterpillars – his 2005 guide with Princeton University Press, Caterpillars of Eastern North America: A Guide to Identification and Natural History is in its ninth printing. + If you don’t have a garden or yard of your own, you can still create mini-habitats with window flower boxes, potted plants, rooftop gardens, and vertical gardens. + As always, think about your insect kin when you consume. Support local farmers who are growing food that is free from synthetic pesticides, avoid processed foods that contain GMO ingredients, and considering purchasing organic cotton when possible as conventional cotton cultivation is responsible for an enormous consumption of pesticides. Always ask yourself if the item you are buying is worth the costs paid by our more than human kin. + Remember that your individual actions have tremendous impacts on insect communities, for example, the lights we leave on outside at night attract insects that would otherwise not show up, positioning them as easy prey. Additionally, light pollution at an urban scale interferes with nocturnal insects orientation.